Seven security personnel have so far sacrificed their lives in skirmishes with an unknown number of terrorists. 1) Jan 1 [~ 9:00 PM] Suspected JeM terrorists got into Innova taxi at a village near Khatana T-point on Jammu-Pathankot Highway. After a 1.5 km the driver crashed into a rock and the terrorists believed to have killed the driver and took the car to the T-point. 2) After the terrorists have reportedly reached Khatana T-point in the damaged car, they intercepted a police vehicle carrying SP Salwinder Singh. Taking control of the car, the terrorists held SP Salwinder, his friend Verma and Verma’s cook hostage. 3) The terrorists rode past police checkpoints reportedly taking advantage of the SUV’s blue beacon and reached Akalgarh village, 500 metres away from the Pathankot Air Force base. 4) Jan 2 [ ~ 12:00 to 2:00 AM]: The terrorists tied the SP and Verma’s cook, and took Verma along with them to the airbase. Learning that Salwinder Singh was a senior police officer, they were instructed by their handlers to head back to hold SP hostage again. By that time, the SP and the cook managed to escape and the terrorists decided to get rid of Verma. 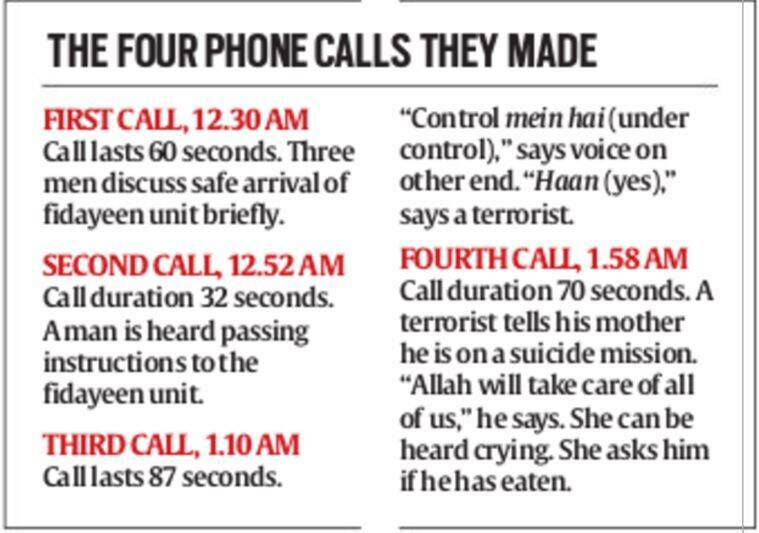 The terrorists also reportedly made some calls using Verma’s phone. 5) Jan 2 [~ 3:00 AM] The terrorists then stormed into the base through a entry point that adjoins the village. That area of the housing for personnel, administrative offices, an officers’ mess and the DSC Mess. Five DSC men were shot at by the terrorists. 6) One terrorist was reportedly shot dead as he was clambering over a 10-ft wall topped by concertina wire. After the shooting spree at DSC Mess, the terrorists split into two groups. One group hid in a building next to a furniture yard, while the other hid in sarkanda, a patch of tall grass, an official said. 7) Jan 2 [~ 9:00 AM]: NSG personnel arrive at the base. Four terrorists reportedly killed in the operation. Nearly 80% of the Air Force base sanitised. 8) Jan 2 [~ 10:00 AM]: Gunshots heard from within the airbase again. Sound of three grenade blasts heard too. NIA reaches Pathankot airbase. Aerial firing by IAF choppers at the site. 9) Jan 2 [~ 5:00 PM]: The likely plan of the terrorists to destroy valuable assets of the Air Force has been foiled. Currently the operation is going on: IAF. Fifth terrorist was reportedly neutralized as combing operations continue. 10) Jan 3 [~ 9:00 PM]: Search operations resume at Pathankot air base after Saturday’s terror attack. While there were reports of firing being heard inside the base, they were attributed to combing operations. Helicopters were also seen flying over the base, to assist ground staff. 11) Jan 3 [~ 12:30 PM]: Lt Col Niranjan of the NSG has lost his life during a combing operation at the Pathankot Air Base. Meanwhile, fresh firing has been reported from inside the Air Force Base, in what could be an indication that the operation is currently on. 12) Jan 3 [~ 1:00 PM]: At least two terrorists are still inside the Air Force Base, Kunwar Vijay Partap Singh, DIG/Border range told CNN-IBN adding that it was still unclear how many terrorists are still inside. 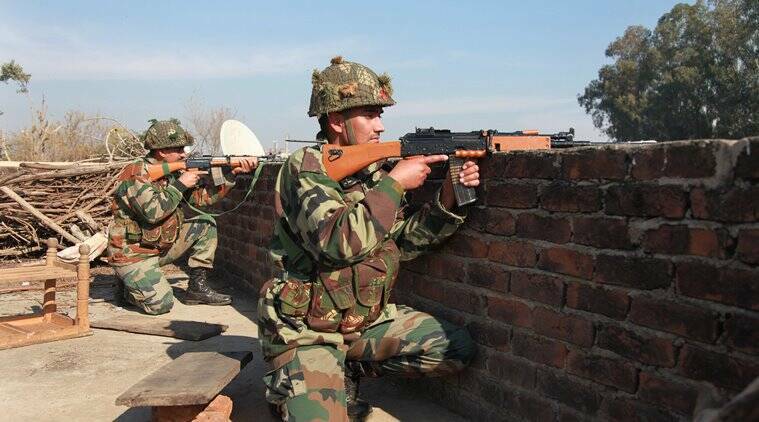 13) Jan 3 [~ 2:00 PM]: In what could spell more trouble for the defence forces engaged in eliminating the terrorists at the Pathankot Air Base, Kunwar Vijay Partap Singh, DIG Border Range Punjab Police has now said that there could be more terrorists holed up inside. 14) Jan 3 [~ 4:00 PM]: Building inside air base facing Akalgarh village destroyed by security forces. One terrorist was believed hiding there. Total Indian forces injured in the operation till now: IAF personnel: 6 dead, 8 injured and NSG: Lt Col Niranjan dead, 12 injured. 15) Jan 3 [~ 5:00 PM]: Second line of defence to be setup. SWAT and BSF troops to be deployed for completely securing the airbase: Punjab Dy CM Sukhbir Badal. Operation underway.